TractionLife is a sophisticated outlet for car reviews, car buying guides and other motor related quality content and features. It is an award winning custom WordPress design. TractionLife.com was awarded 2016 Kia Canada Best Web Design Award at AJAC’s 33rd Annual Journalism Awards Banquet. 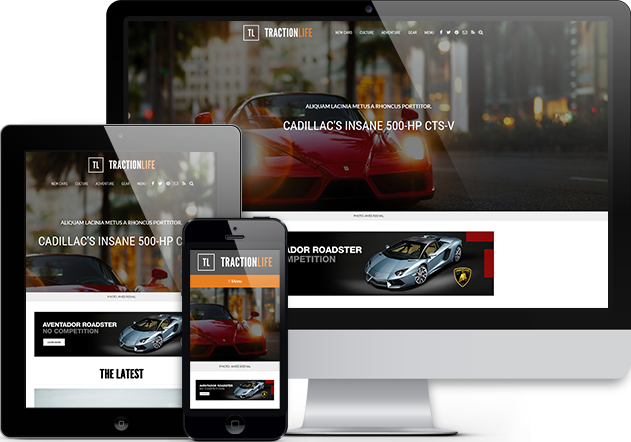 TractionLife.Com is a WordPress Genesis website powered by Lander — the most customizable Genesis child theme. The website design for TractionLife.com is highly appreciated for clean and dynamic interface, easy to use navigation, ample whitespace (negative space) and responsive layout. 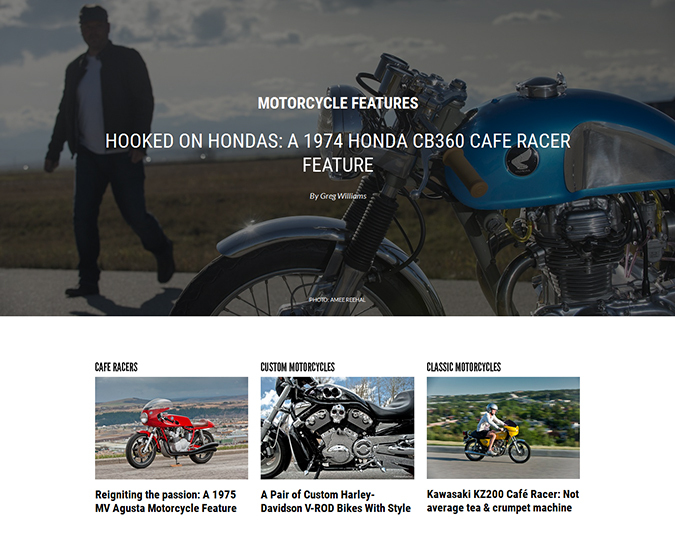 TractionLife.com is an example of well-executed magazine layout that gives precise prominence to individual content pieces. 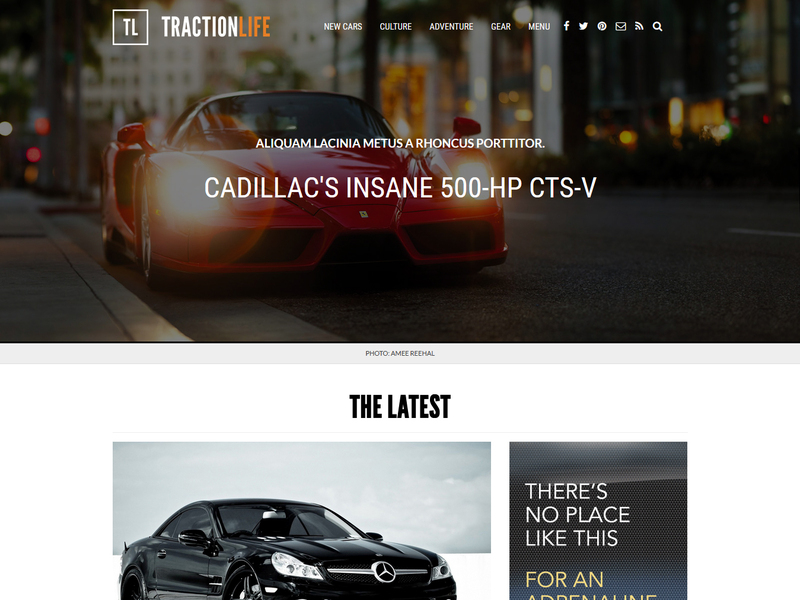 TractionLife.com is a clean magazine layout WordPress Genesis design with emphasis on strong imagery. The color scheme, design elements and bold typography; all work in unison to present the rich content in the most outstanding manner. The homepage clevlerly presents an overview of various sections of the website. This is acheived by dividing the homepage into various highlight sections. And each section is followed by a grid of related content. Eye-catching photographs, bold typography and ample whitespace add to the presentability of the content and increase user experience and engagement. The homepage acts as an exemplary example for the websites in automobile niche. It presents an overview of all the sections of the website in clean, clear and concise manner. The homepage of TractionLife.com is truly dynamic in nature. All the content is displayed programmatically. The homepage is implemented by using various parameterized shortcodes. This makes it 100% flexible for the website owner to show the desired content at desired locations on the homepage. The robustness of custom WordPress queries, featured images and custom fields makes it pretty easy for an experienced WordPress Genesis developer to implement complex solutions with great ease. 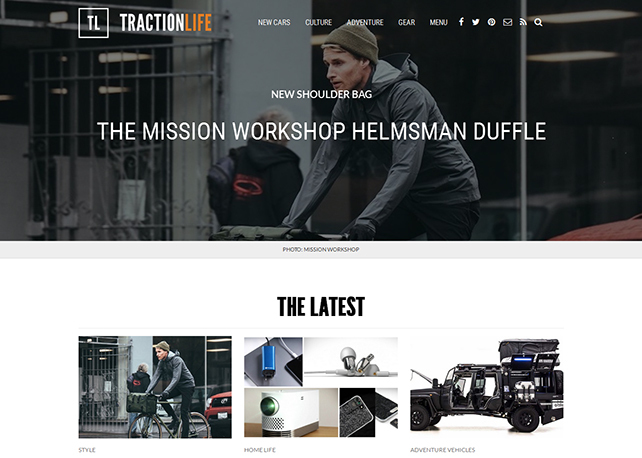 TractionLife.com features optimized landing pages for each of the highlight sections of the website. 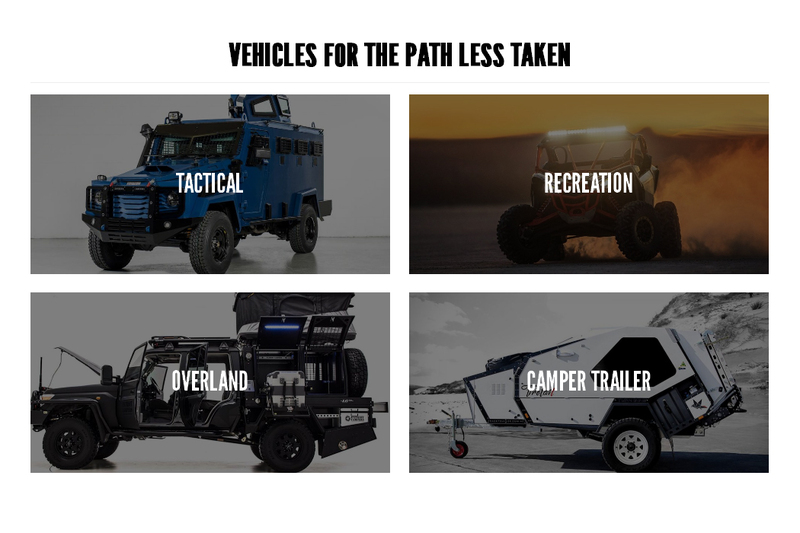 New Cars, Car Guide, Culture, Adventure, Gear, each of the categories have a custom landing page. These landing pages are designed around the concept of SILO architecture. Along with displaying the content for respective categories, these landing pages are designed to list sub-categories and display content from each of the sub-categories. We have coded exclusive category templates for each of the highlight categories. TractionLife.com is a website re-design project. The website was re-designed with the objective of resurrecting the existing website in terms of structure and SEO. Even though the website features full-page design, for single posts client wanted to accommodate small size featured images and image sliders too. To make it easy for the client to display full-width featured image, small size image and image slider, the back-end offers 3 different layouts for the posts. Newer posts follow full-width layout, older posts follow boxed layout and few posts follow boxed layout and include image sliders. I’m proud of the design and quality work delivered by Steve and his team. Site looks good. Responsive looks good. Great job! I’m really happy how things shaped up in each phase and appreciate all the hard work that went into making TractionLife.com a success. Thanks for all the support and co-operation in making TractionLife.com win 2016 Kia best design award. It is tough to find good developers and you did a great job. I highly recommend your services and I’ll be in touch for any future work.